-The statue of Cristo Redentor, or Christ of Corcovado is a 30-meter image of Jesus of Nazareth with open arms facing the city and port of Rio de Janeiro, Brazil. 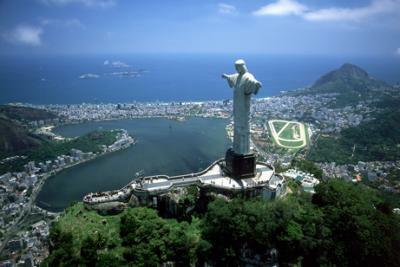 It is located 709 meters above sea level in the Tijuca National Park, on top of Corcovado Mountain. It was inaugurated on October 12, 1931, after about five years of work. -This is undoubtedly one of the most fascinating cities in Brazil, not only for its colonial past, but for its beautiful beaches and surrounding villages, where time seems to have stopped.